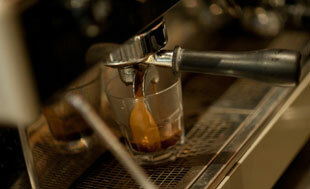 There are a range of factors that will affect the cost of insuring your cafe. The first big factor is the level of cover you require, whilst the second set of factors have more to do with your individual cafe. This guide will look at each of these factors in more detail, allowing you to get a better understanding of how much you should be paying. There are a number of factors relating to your cafe which will affect the cost of your business insurance. As with any business, one of the major factors will be your annual revenue. In some cases the number of staff employed can also affect the premium. If you are also insuring your property, and not just taking out basic cafe public liability, the construction type of your cafe may also come into play. The other major factor affecting the cost of insuring your cafe is the level of cover you require. If you are taking the bare minimum insurance for a cafe, which generally only includes public liability and glass cover, your insurance will be quite inexpensive. In this case we could be talking well under one thousand dollars. This will leave you with a very minimal level of protection however, so it is recommended that you look at additional forms of cover. The cost will increase as you add addition cover for your contents and stock, as well as coverage for deterioration of food. Although going with this additional coverage will cost more, we are only talking about a total cost of no more than a few thousand dollars. Given the amount of time and money invested into your cafe, spending a few thousand on protecting it properly should be seen as money well spent. You can go even further with more comprehensive cover, including options such as machinery breakdown and business interruption insurance. There options will increase the cost of your insurance again, but may be worthwhile depending on your personal situation. Essentially the more comprehensive you would like your cover to be, the more it's going to cost you. The trick is finding a happy medium where you are comfortable with both the level of protection offered and the cost of that cover. To get a more accurate idea of how much cafe insurance costs we recommend speaking with an expert. By completing our cafe quote request form we will be able to arrange quotes for you. If you would prefer to speak with an insurance expert first, complete our online contact form and we'll have an expert contact you for a chat.